And I have been blessed having both around me on my latest trek to experience one of the most amazing things a Spacetweep can get himself into: Meeting men who have walked the surface of the Moon! Don’t expect me to continue on how amazing the meetup with the Astronauts was (and it was), or the regular ‘blabla’ about the various missions. You may even know more about them already then I do, or you can read everything up on Wikipedia. No, there was something far more amazing and important going on at Spacefest V: Worldwide Friendship! 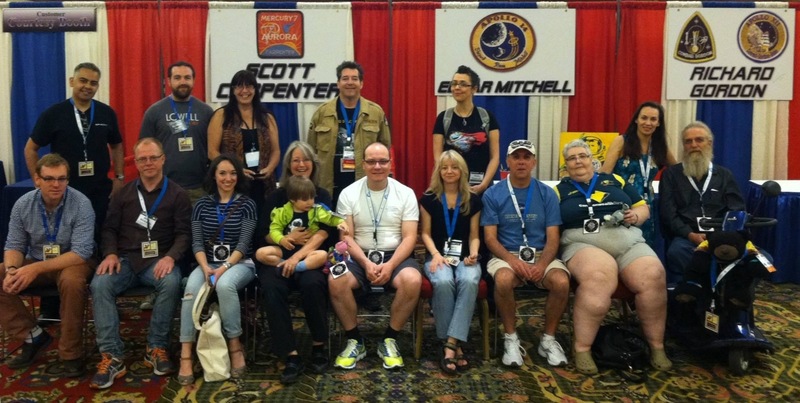 What followed was being “adopted” by an ever growing group – the Brit Army at Spacefest V. A group of people from around the world who exchanged travel plans, offers to share accomodation and discussed all kinds of weird stuff including Space. 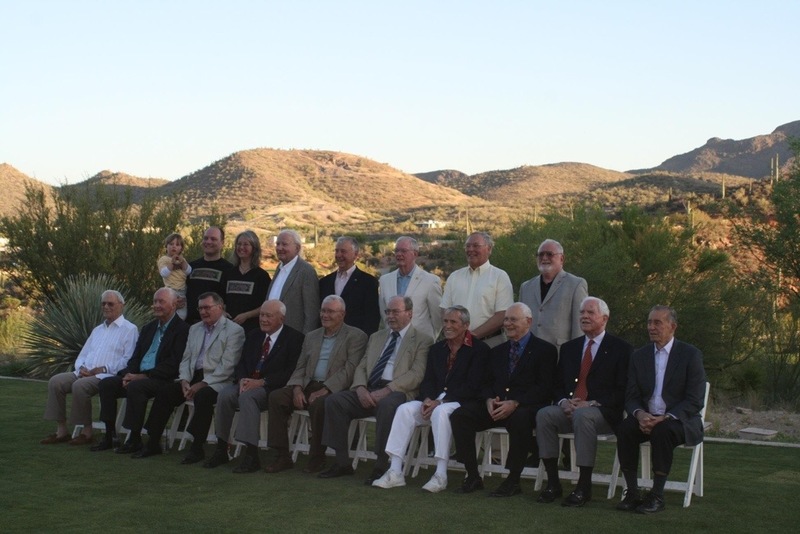 In fact, despite not knowing most of the people personally, we grew so close that as soon as we met for the first time in Tucson, it was like seeing old friends! What got me the most during this 4 days was how enthusiastic and passionate everyone was. And even better, we all worked like cathalysts for one another, like a space perpetual motion machine on fire. My first outburst is this blog, but I wouldn’t be surprised to see many and far more significant developments in STEM outreach and appliction projects by my dear Brit Army friends to surface in the near future! The synchronized minds and comradry even led to a surprise Birthday party for me together with new friends and (then) strangers! 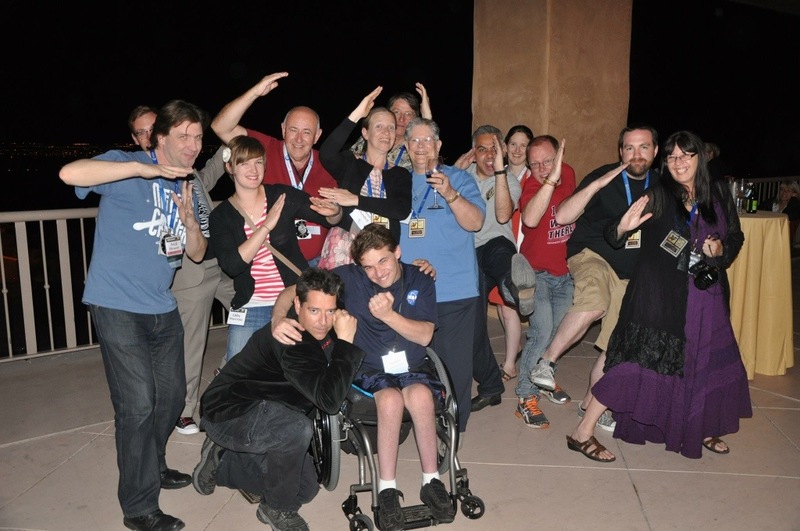 As a good friend would put it, Spacefest was the best example of #SpaceUnites! I can’t close without a little bit of Astronaut awesomness. Here is an amazing pic we got to take at Spacefest. Leo will only start getting the significance of this picture in a couple of years! Can you name the Gentleman? You captured the feelings we all had about our time together at Spacefest V. The friendships around the world are priceless and cherished. Yes, all the panels, astronauts, etc are what drew us there, but new friends will be the gift that keeps giving.